Susie Lord has always been Susie Magoozy as far back as she can remember. But it has been in the past 13 years or so that she has been performing as Magoozy! With puppets and props in hand. she brings silly stories to life with endless energy and animation! Not to mention, a little music and dancing! 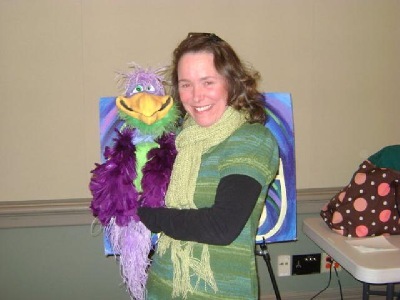 Susie began her storytelling career as a children's librarian back in 1997! Story time was always her favorite part of the job. It was when she met her husband, Jay (Yes, Tom Foolery! They're married, I know, right?!) back in 2003 that she left the library and set off to pursue storytelling! 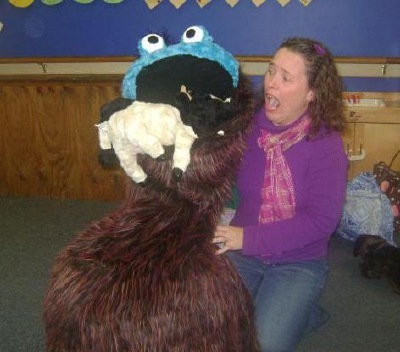 She's been bringing her brand of silly stories to libraries, daycares, museums and birthday parties ever since. Children of all ages will enjoy the shenanigans that ensue when Susie is nearby. Food, Food! Let's Give Thanks For Food! 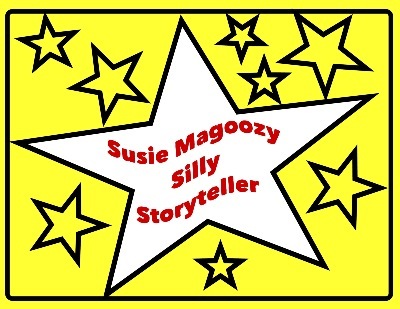 Get a look here: Susie Magoozy's Youtube Channel for babies. 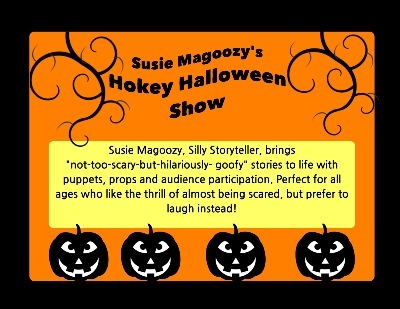 When Susie is not performing her stories, you can usually find her doing crafts with kids at the recreation center in Hamilton, where she instructs an Ooey Gooey Arts and Crafts Class. And if you can't find her there, your best bet is over at Neverland Theatre, where she frequently helps out behind the scenes or onstage! She loves being onstage in musicals, as well as being offstage helping with rehearsals and costumes/props. She also loves playing with her three cats, Peter Pan, Hercules and Fluffernutter!